Oregon is a state of quiet serenity that cherishes its natural beauty. 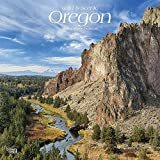 From the rugged seacoast, down lush valleys, over the mountain passes of the Cascades, past wildlife, and through the peaceful Painted Hills, Oregon has long stoked America’s imagination. 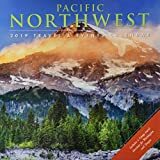 Explore this wild and scenic Pacific Northwest state through the gorgeous photography in this square wall calendar. 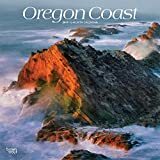 Stretching from the Columbia River in the north to the Oregon-California border in the south, the Oregon Coast is more than 360 miles of scenic splendor. There are countless sights to see—from stunning sandstone cliffs to serene sandy beaches to the hauntingly beautiful sea stacks that lie just off the coast. 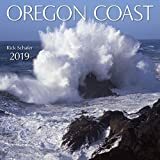 Explore the spectacular sights along the Oregon Coast with this square wall calendar. A jewel of the Pacific Northwest, Portland is home to small-town charm and big-city excitement. The City of Roses is nestled between the picturesque Columbia and Willamette rivers, and the bridges that cross these waterways are as unique as the city itself. 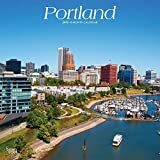 Portlanders and visitors alike enjoy the riverside parks along the banks of the mighty Willamette River as well as other open spaces. This square wall calendar highlights some of Portland’s most beautiful sights. 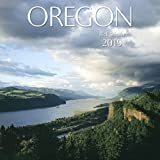 Prove you are a passionate Oregon Ducks fan with this 12" X 12" academic wall calendar! 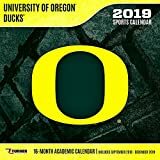 This calendar features 16 months (Sept. 2018 - Dec. 2019) of full-color action shots of the top players from Oregon athletics, along with player profiles, stadium & mascot images, and visually appealing graphics designed with the school's colors and team logo! Delightful and charming watercolor illustrations of walks in Eugene, Oregon. By the author of "Eugene and Springfield Townscape Walks."